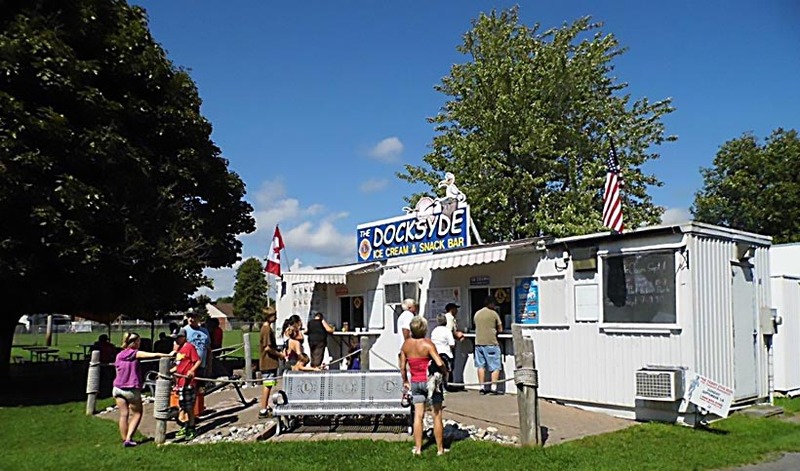 The 2017 Season marked the 13th year since the official opening of the Docksyde Ice-Cream and Snack Bar (Docksyde) on Canada Day 2005. 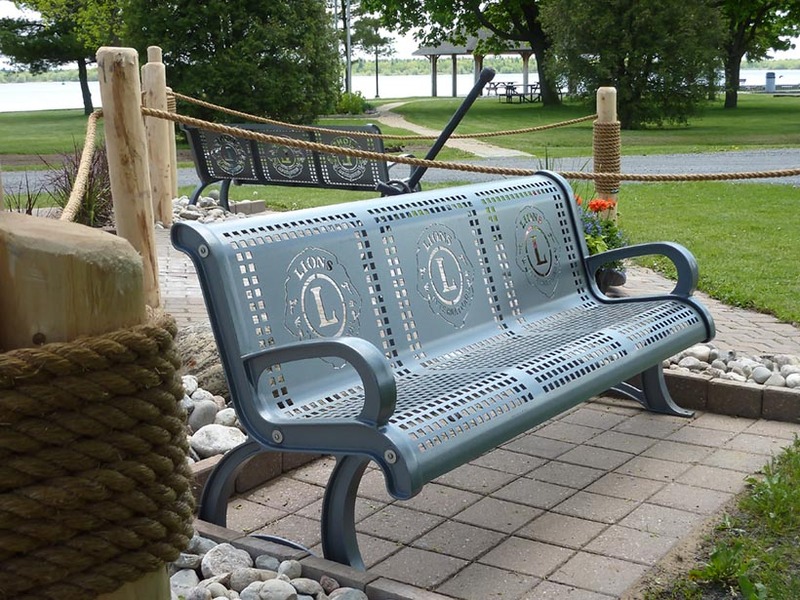 The Morrisburg & District Lions Club had a goal in mind: the members of this community Service Club wanted to create a pleasant focal place where residents and tourists would have an opportunity to come together and enjoy the waterfront and simultaneously fostering interest in all the St Lawrence River has to offer in Morrisburg. 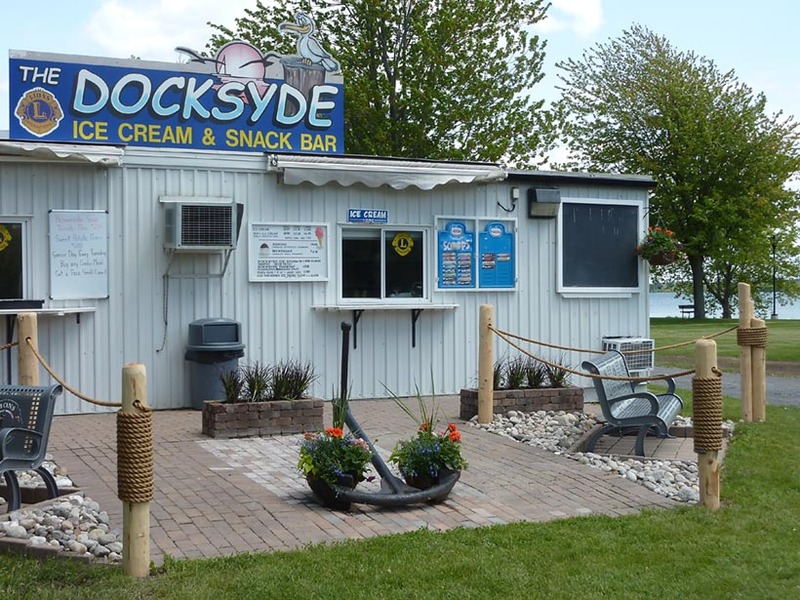 Since 2005, the Docksyde has opened a few days prior to Victoria Day in May and closed on Labour Day, operating from about 11am to dusk, weather permitting. From day one, the goal of the Lions Club was recognized as local families and tourists flocked to the Docksyde for a hot treat and / or an ice cream to celebrate the end of another school year, meet family and friends for a picnic or simply enjoy a summer evening along the waterfront. The Docksyde has become the place to be on Monday nights for “Docksyde Cruise In” Nights when the lawn in front of the Docksyde is transformed to a classic car enthusiast’s dream as about 30 vehicles including classic, antique and recent production vie for Vehicle of the Night Honours. It is also a popular meeting place after baseball games in our local parks, during Antiquefest and the annual Tubie Festival, throughout Old Home Week, to enhance Canada Day celebrations, after a day of biking, hiking or on the water and as one last taste of summer during the Labour Day final “Docksyde Cruise In”. The Lions have used the proceeds from the Docksyde to enhance the beautification of the Morrisburg waterfront. Projects completed over the past few years include installation of lights along the waterfront, the design and construction of the Lions Memorial Pavilion and the building of a walkway from the Docksyde around the cenotaph to the Pavilion, as well as purchasing the "finger docks" to make docking more accessible for smaller vessels. Since its inception, The Lions Club has employed local students to serve up Docksyde snack bar and ice-cream treats under the managerial eye of Linda & Keith Robinson. This approach has provided many local teens with varied skills including customer service, short order cook, an understanding of Health & Safety regulations and the handling of money, to name a few. These skills round out resumes for these teens and also provide funds for their University or College studies. Each and every member of the Morrisburg & District Lions Club thank you for your patronage and we look forward to seeing you at the Docksyde in 2018!